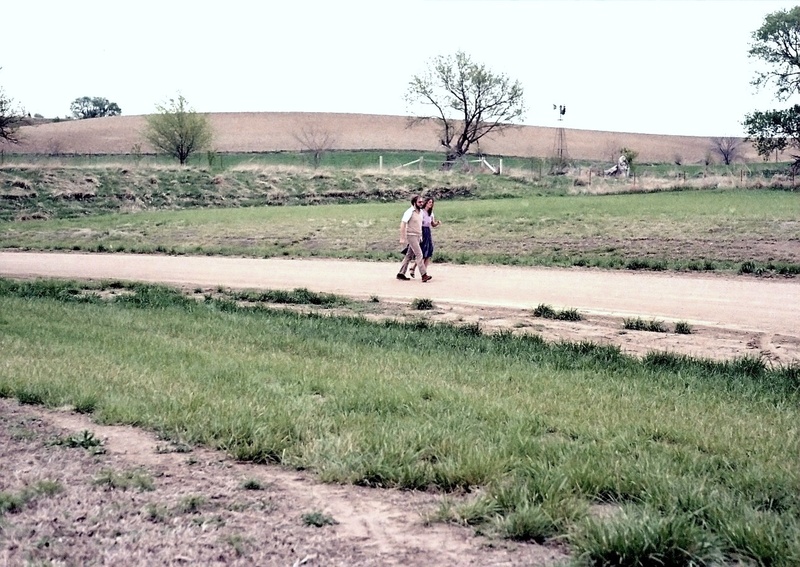 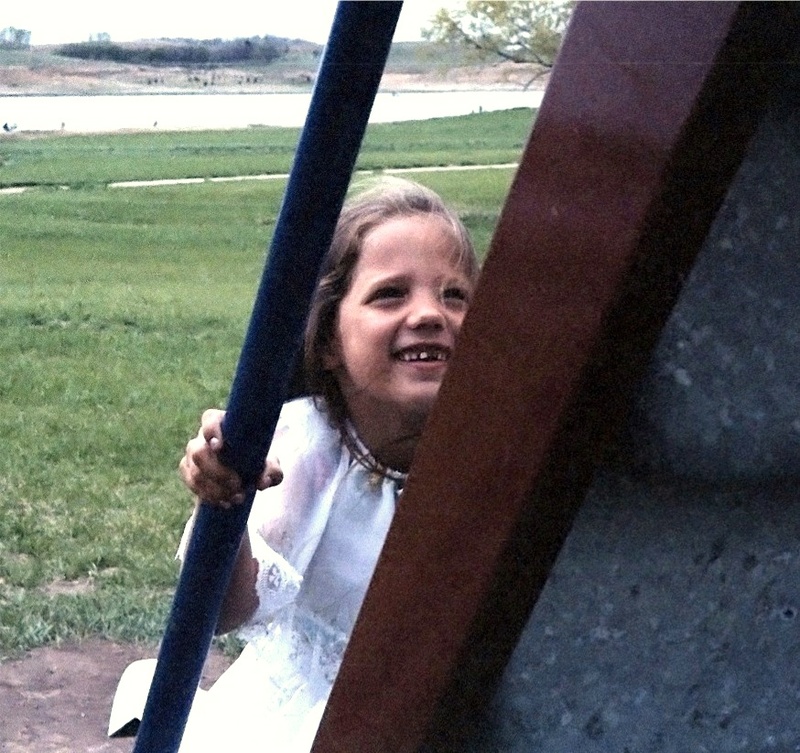 An Easter Egg Hunt at Rhoades Park playground near Blair, Nebraska. 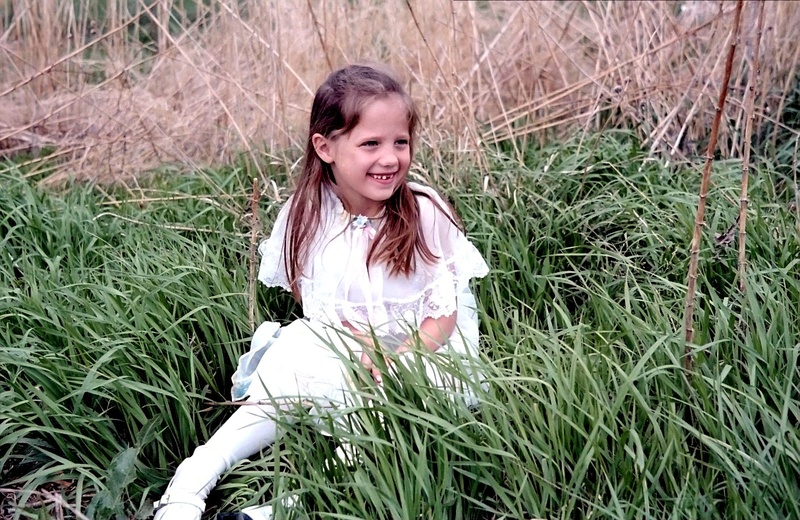 Back when the kids were little, each Easter I would find some hopefully-photogenic place to take them on Easter, where they could hunt Easter eggs in their spiffy, new Easter outfits and I could take their pictures. 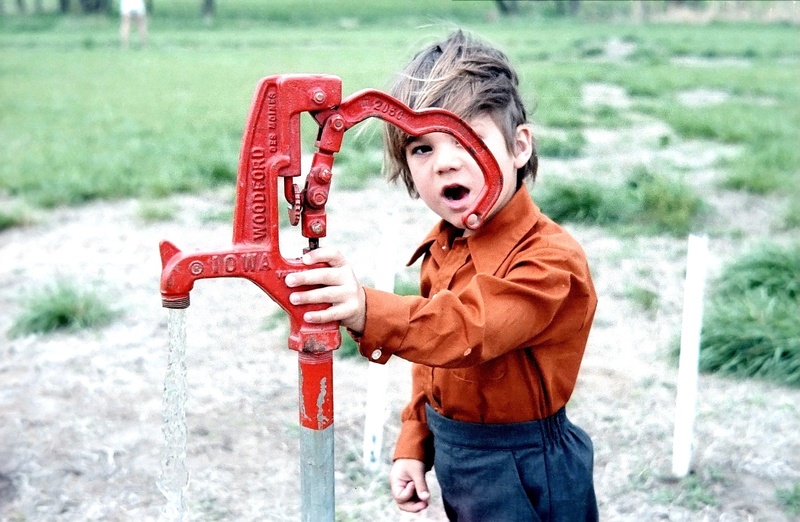 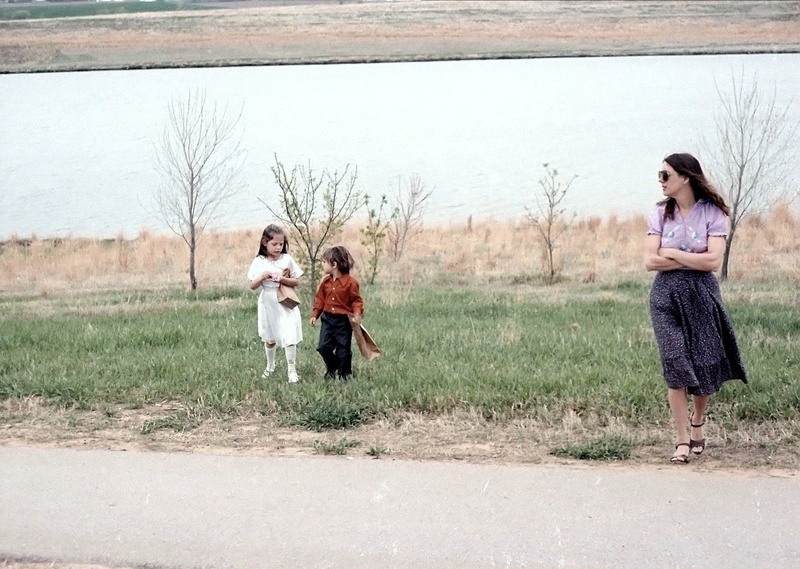 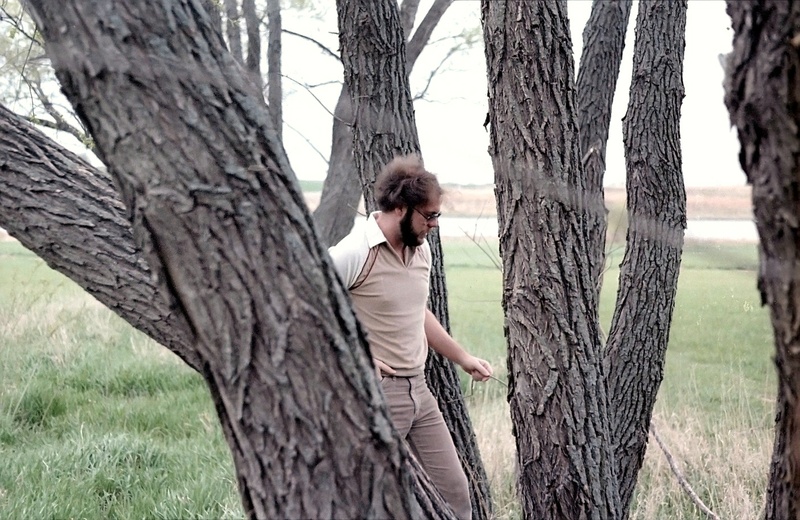 These photos were taken on Easter Sunday, 1981. 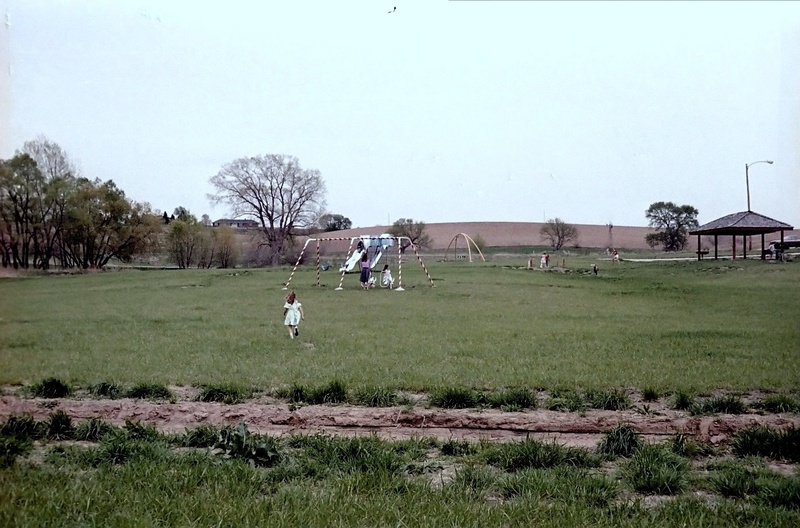 We lived in Nebraska at the time, and found a playground somewhere between Omaha and Blair that seemed a likely spot—especially since we had it to ourselves. 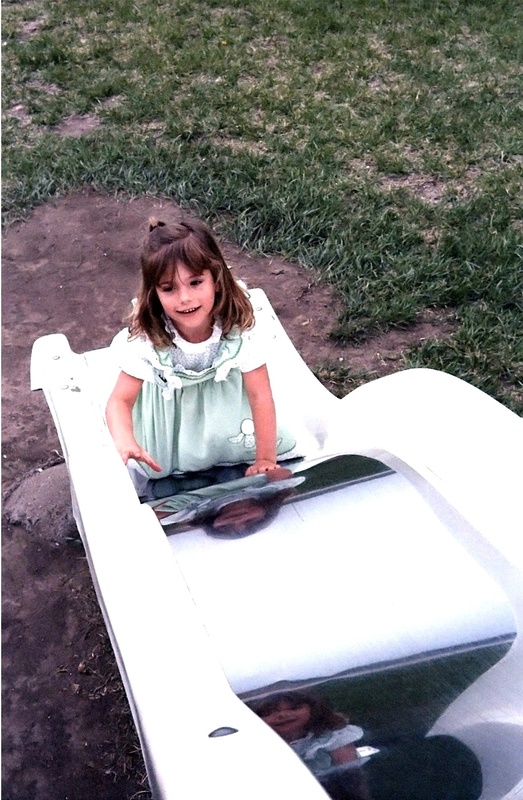 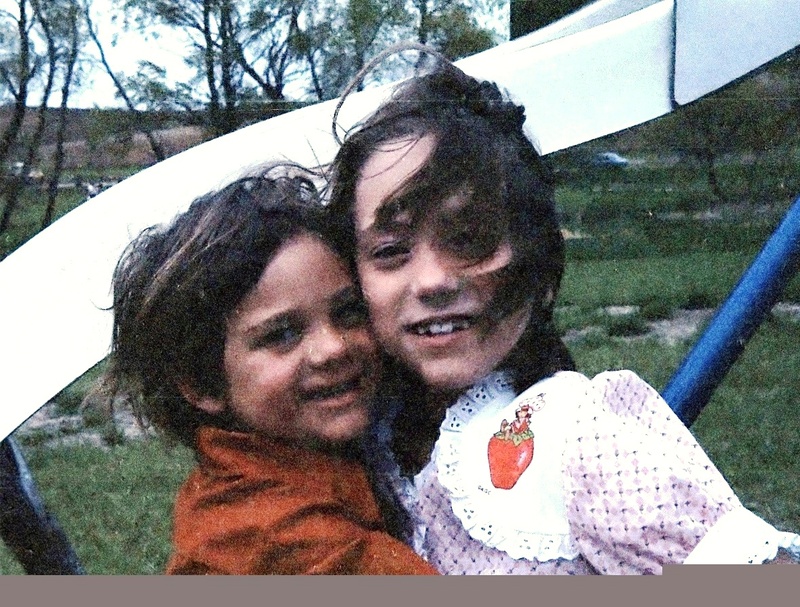 Actually, my daughter Dottie had been the one to find the playground on an earlier trip. 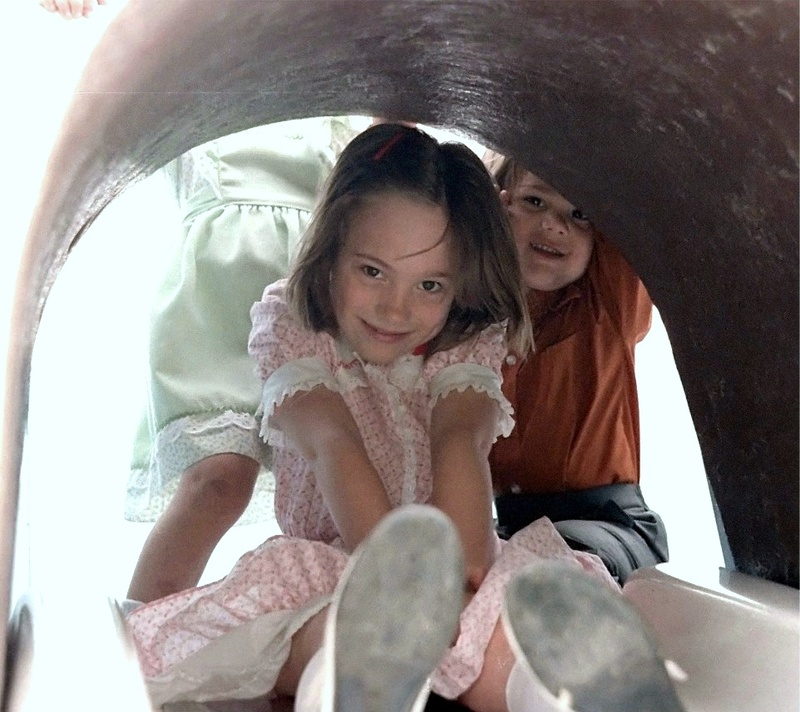 As I drove, Dottie always took on the task of playground spotter. 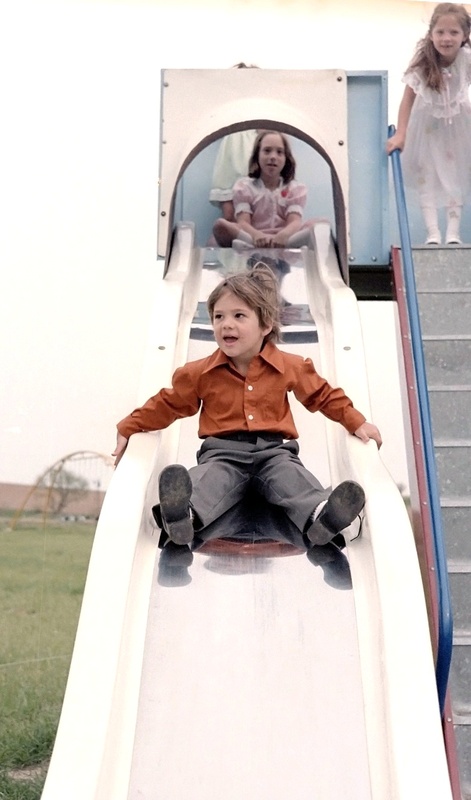 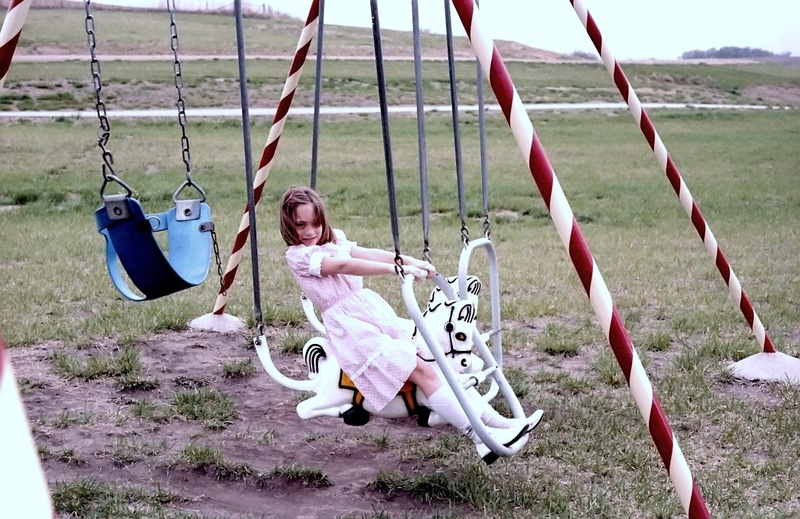 When she found one, she would yell and we would have to stop, no matter how big a hurry we were in, to try out the swings and slides and see-saws, if only for a few minutes, before continuing on. 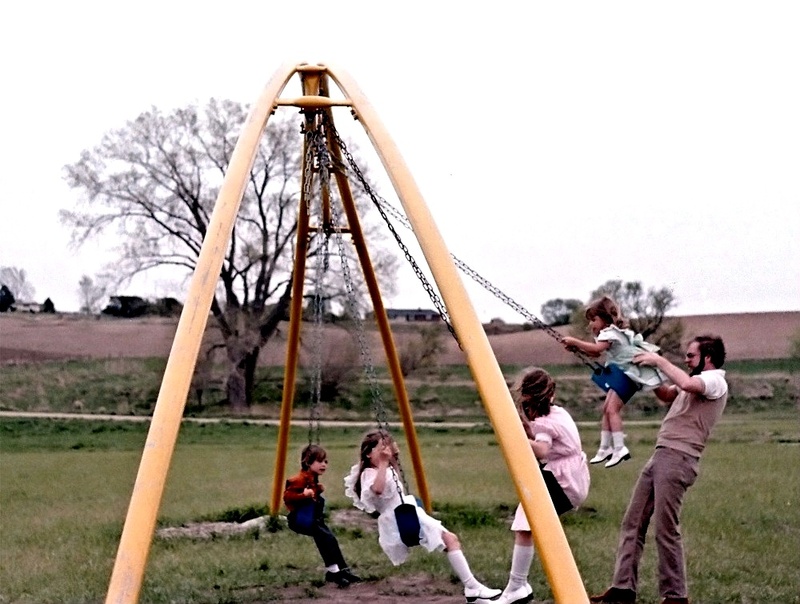 But this day, the playground was out destination. 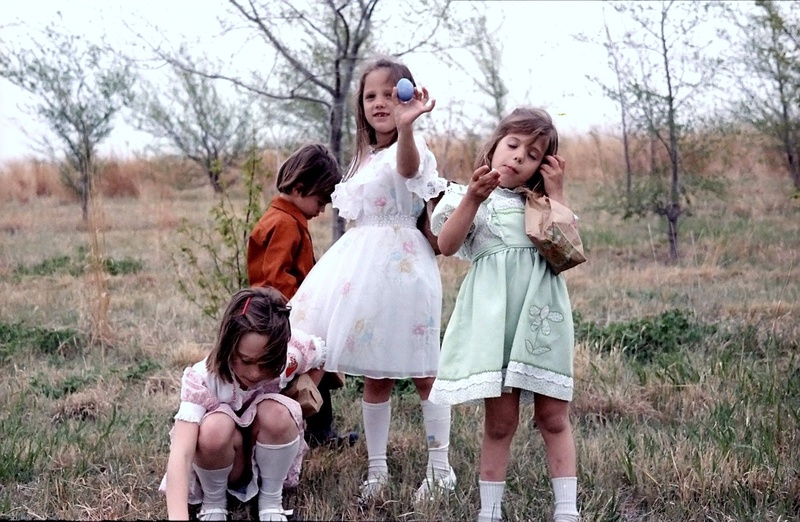 The kids had colored the eggs the night before, a dozen of them; and Mary entertained them in the car while I quickly hid them among the shrubs and bushes in the area. 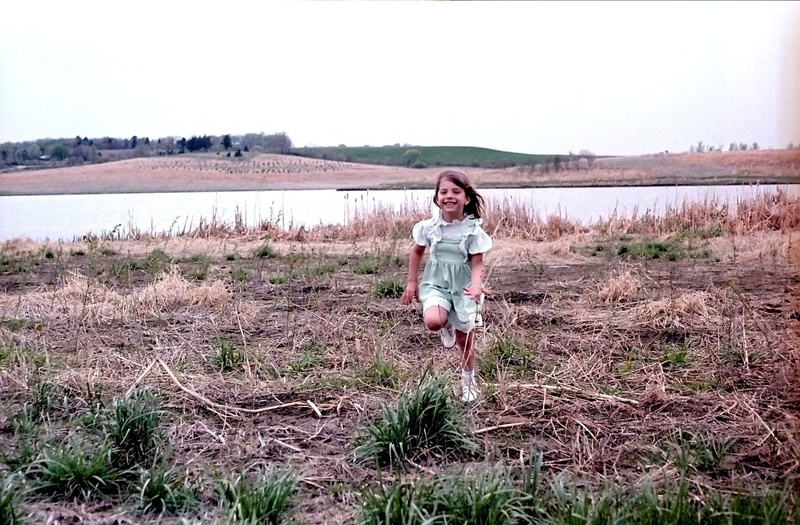 Then the kids were released and the hunt was on! 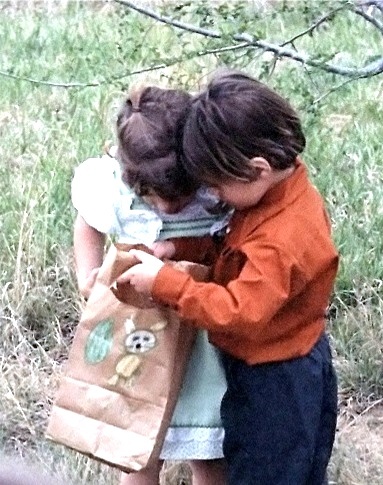 Later, our picnic lunch included the eggs they'd found. 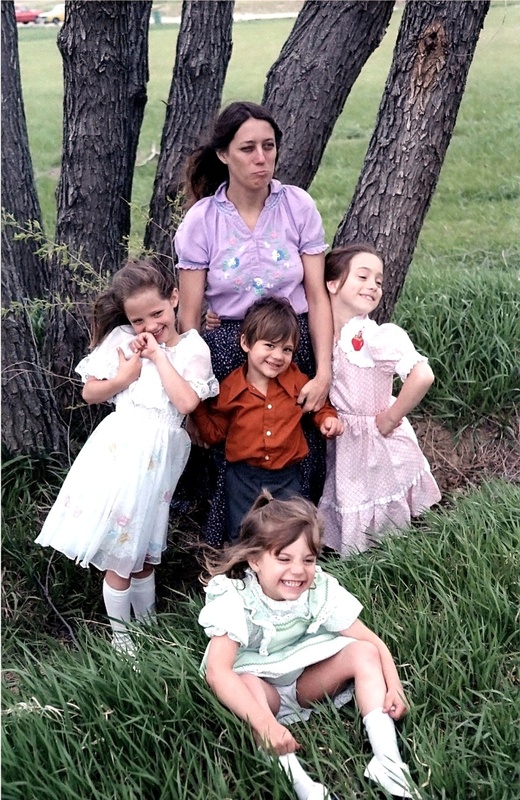 The day was a bit chilly and the sun never really broke through the clouds. 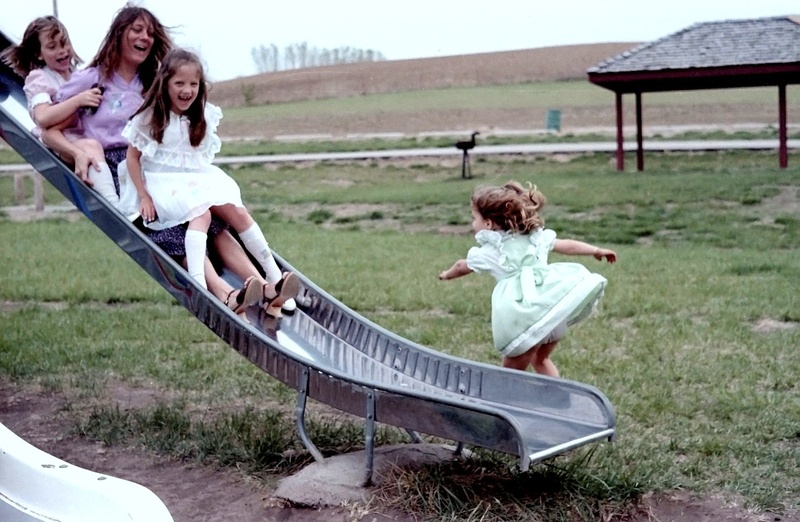 But a good time was had by all. 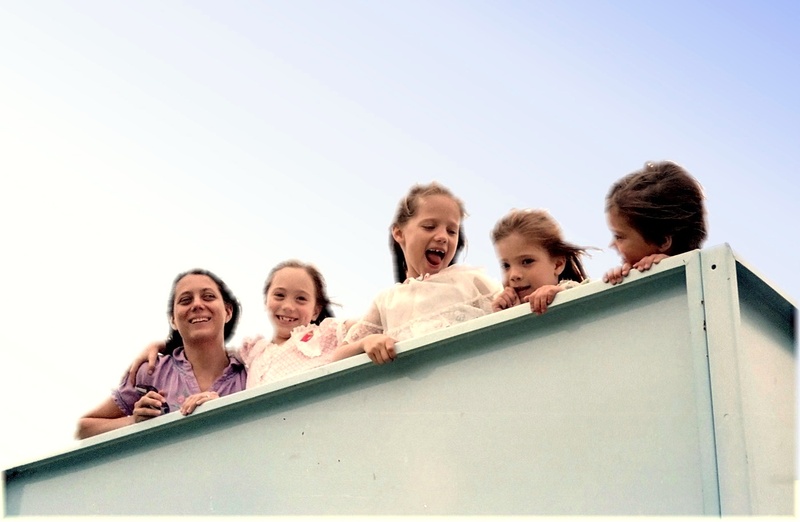 Family traditions can be fun, especially when they include some built-in flexibility.